The cadets are given basic military training in small arms and parade. To develop the character, comradeship, discipline, leadership, secular outlook, spirit of adventure and the ideals of selfless service amongst the youth of the country. To create a human resource of organized, trained and motivated youth, to provide leadership in all walks of life and always available for service of the nation. 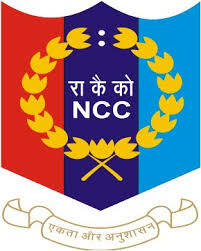 To live up to the NCC motto “DUTY & DISCIPLINE”. awarded 100 marks in lieu.